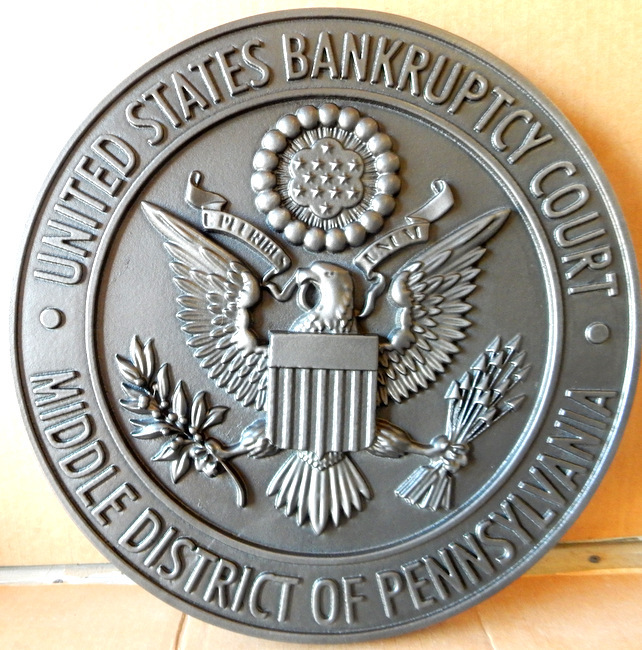 Shown above is a Nickel-Silver coated carved High-Density-Urethane (HDU) wall plaque of a US Bankruptcy Court featuring the Great Seal of the United States. The art and text are 3D bas-relief. This plaque is hand-polished on text , borders , and artwork areas . There is no patina on the background. This seal is 36 inches in diameter, but can be made in any size from 16 inches to 60 inches in diameter. It can also be customized with other text.